Samuel Harding, a scientist in the Hydrology Group at the Pacific Northwest National Laboratory (PNNL), just posted another research video on YouTube-this one on work along the Columbia River corridor. It was a year ago that his cheerful, clever video on collecting permafrost cores in Alaska went up on the same site. This time Harding takes a colorful look at an ongoing PNNL investigation into alterations to the hydrology, biology, contaminant transport, and chemistry of regulated river corridors. In the past five decades, more than 50,000 riverine dams have been built worldwide. Meanwhile, the globe's rivers are undergoing changes in watershed hydrology, precipitation, snowpack volume, and more. How will these changes be predicted? To inform a new generation of models, PNNL researchers are conducting a long-term experiment along a 60-by-15 meter stretch of the Columbia River in southeastern Washington State. The principal investigator is Tim Scheibe, aided by co-principal investigators Xingyuan Chen and James Stegen. Recently, a team of young researchers donned wetsuits or worked along the shoreline to deploy thousands of meters of wires, sampling tubes, and sensors that will help predict hydrobiogeochemical function under future environmental conditions. The array (including 10 kilometers of geophysics wire alone) is a complex of groundwater, sediment, and surface water sampling probes. The devices are used to monitor representative physical structures, hydrologic fluxes, biogeochemical conditions, and microbial communities. The river-research field team during video production included Harding and Stegen, along with Alex Crump, Amy Goldman, Elvira Romero, Emily Graham, Jacqueline Wells, and Vanessa Garayburu-Caruso. Harding, who can be seen wading into the Columbia in a wet suit and working on underwater sampling lines, is a hydraulic engineer in PNNL's Hydrology Group. His principal research interests are experimental fluid dynamics, tidal velocity surveying, subsea instrumentation, and mechanical engineering design pertaining to hydroelectric and marine hydrokinetic turbines. During outdoor research, Harding often shoots footage, then produces short video summaries of the field campaign. 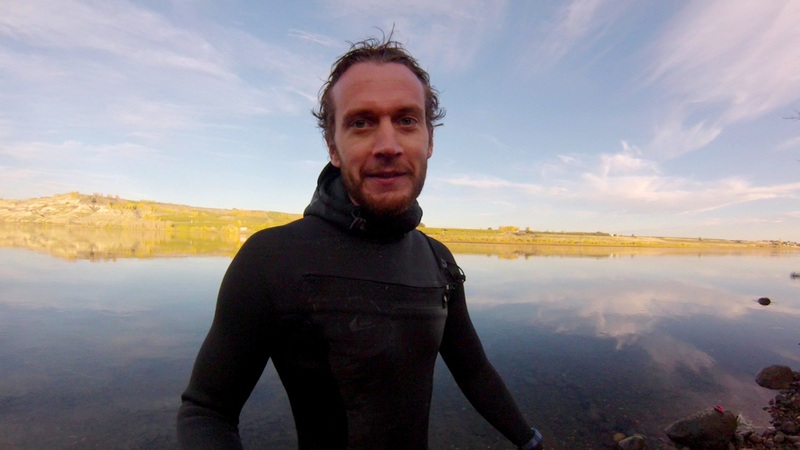 "I think these videos are useful for presenting the settings and practicalities of field work," he said. "They help fill the gap between seeing a description of a method at the start of a project, and the technical analyses and results reported at the end."